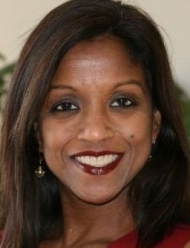 GAITHERSBURG, MD: Jaya Bohlmann, the former VP of PR for Sodexo, left the company earlier this month to pursue consulting work. Bohlmann said she didn't think her former position at Sodexo had been filled. While employed at the food services management company, Bohlmann handled Sodexo's social media and branding strategies, as well as media relations, and employee media training, according to her profile on LinkedIn. Sodexo did not immediately return calls for comment.